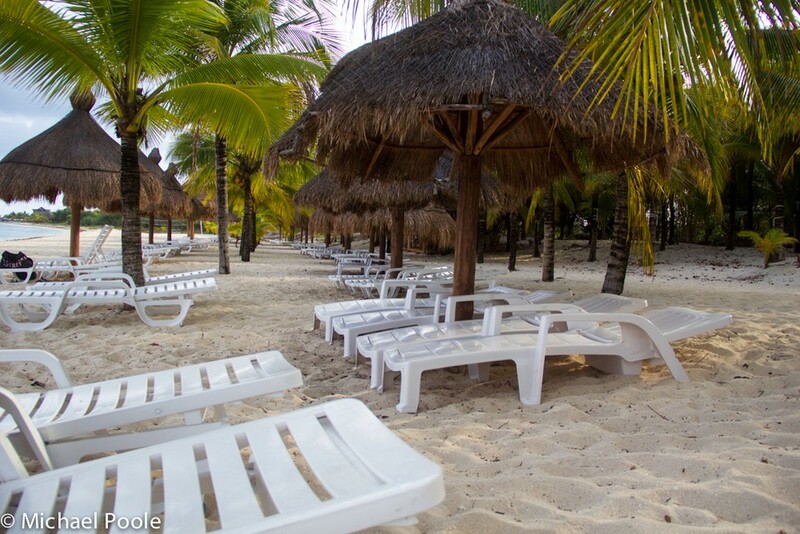 If you have an upcoming western Caribbean cruise, chances are you are visiting Cozumel, Mexico. Royal Caribbean has been coming to Cozumel for decades and it has recently become one of my favorite stops. There are so many options for beach days, excursions, and hotel’s for the day; it can be a little overwhelming. I’m going to share with you about my recent experience at Nachi Cocom. If you have never heard about Nachi Cocom, it’s an all-inclusive beach day that you can reserve online prior to your next Royal Caribbean cruise. The cost for the day is $55 per adult/$35 per child. When you make the reservation, you are required to put down a $11 deposit per person and the balance is due on check-in which is cash only. If you are interested in booking you will need to book direct through their website, as it’s not offered through Royal Caribbean. One thing that makes Nachi Cocom stand out compared to other local beach break places is they only let 100 people per day visit. With that being said, once they have 100 reservations they are sold out for the day. To me if gives you more of the exclusive feel when you are here, because it never feels busy. I’ve been here three times now and the one thing that just keeps me coming back is their customer service is always outstanding. I have seen the bar staff running drinks over to ensure their guest don’t have to wait too long. They provide each guest with a nice beach lounger and an umbrella as soon as you arrive, in fact they walk you over to it. They also include unlimited alcohol and bottled water in the cover charge, which always makes for a fun day. Lastly, they include menu service delivered right to you on the beach, or they have sitting area. I’ll mention most beach break places I’ve seen before are buffet style lunch, but at Nachi you get everything fresh and made to order. And the food is absolutely outstanding; I usually order a couple of rounds of their fresh guacamole! Some other things that are included in the price are cabana’s poolside, hammocks, swimming pool, and swim up bar hot tub. Transportation is on your own when visiting Nachi, but not to worry taxi’s are $16-$18 each way. Most of the time I take one alone going there, but have found new friends and split the ride going back. When you arrive a lady will take a picture of you and the group and later bring it to you for $12, I usually say no thank you since it’s just me. They also offer snorkel equipment, and beach massages for an extra charge. I have not done either; so I don’t have any feedback, I’m always just looking for a lazy beach day. Have you ever visited Nachi Cocom before? If so, please comment below and let us know what you thought.